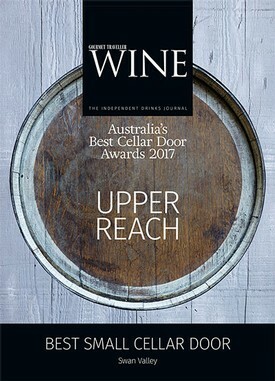 Come and see why Upper Reach is the 'must-visit' Cellar Door in the Swan Valley. Upper Reach is set in the most beautiful spot on the upper reaches of the Swan River. Stroll the vineyard trail, it’ll take you through the vineyard and along the banks of the Swan River. Take a guided tour of the vineyard and working winery and enjoy a long lazy lunch in the restaurant. Lunch at RiverBrook Restaurant overlooking Upper Reach’s stunning vineyard is casual, intimate and unhurried affair; choose from small taste plates or large shared platters and a la carte.